Sancerre could be one of the most popular wines on the planet. No doubt Sancerre is often ordered out of absent-minded laziness, the way many people ask for a glass of chardonnay. But Sancerre offers one of the purest, most complex and delicious expressions of the sauvignon blanc grape in the world. And don’t overlook reds. 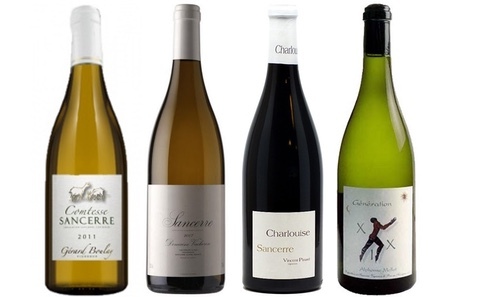 An increasing number of Sancerre producers are making serious, weighty reds that can stand shoulder to shoulder with top cru Burgundy. 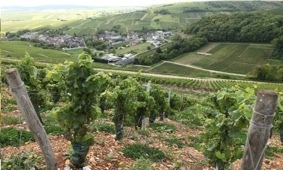 The soils and climate (continental) of Sancerre can be quite similar to those of Champagne and Burgundy, especially Chablis. ‘We are closer to the Côte d’Or than we are to most other areas in the Loire, and we have the same soils,’ says Jean-Laurent Vacheron, the famed Sancerre producer. 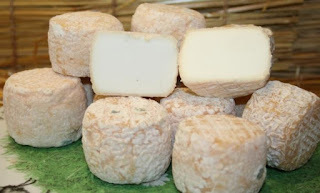 Sancerre white produced in vineyards on chalky limestone&clay soil are bigger, richer wines; wines from the pebble limestone (“caillottes”) tend to be fruity and lighter; and the silex wines around the village of Sancerre are considered capable of extended aging. Sancerre is justifiably famous for its Sauvignon blancs, but it’s high time to pay attention to the reds which, while still small in number, are fast gaining a reputation for quality and Burgundian elegance. Let’s enjoy together this diversity of Sancerrois terroirs with wines from the greatest producers such as Mellot, Vacheron, Boulay and Pinard for his incredible red. As always a welcome drink will be served and an original full course dinner prepared by our chef TOMIYAMA-SAN will complement the wines.